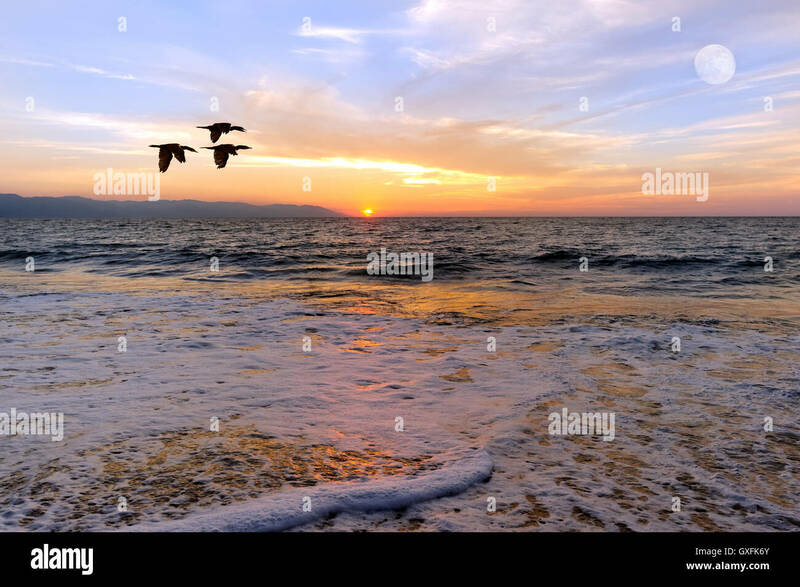 Sunset ocean birds is three silhouetted birds flying over the ocean as the sun sets on the horizon and the full moon rises in the sky. 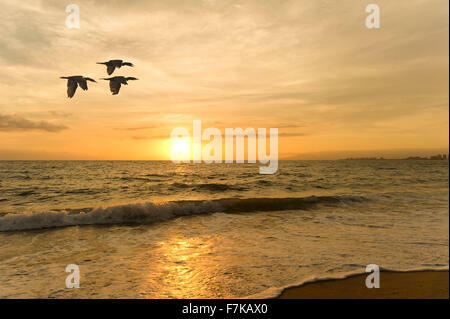 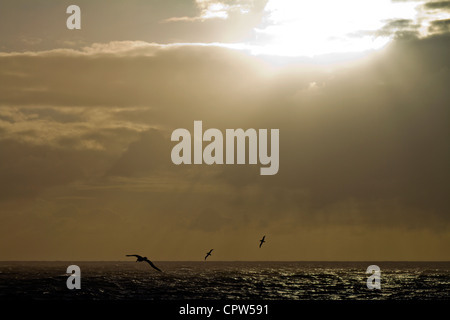 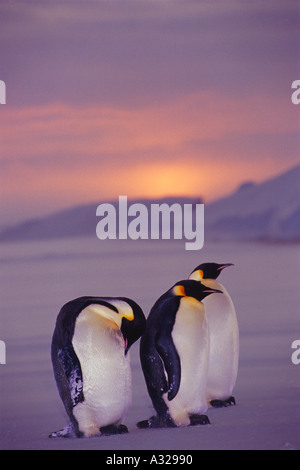 Birds silhouette is three birds flying silhouetted against a beautiful soft sunset sky with the ocean waves below. 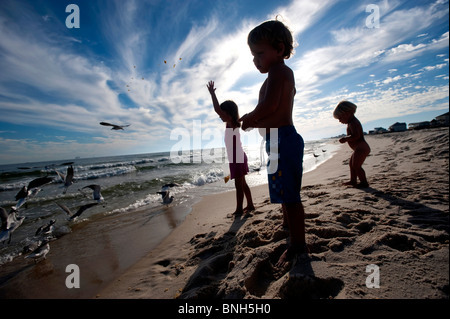 Three children are silhouetted against a cloudy blue sky as they feed seagulls on the beach. 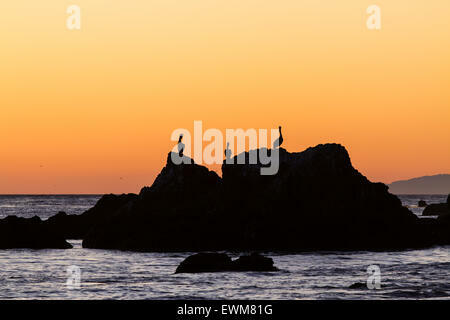 Three pelicans on a rock are silhouetted by an orange sunset sky in Malibu, California.